I was an obsessive kind of kid. If there was anything I was interested in, I put all my time and energy into it. I ranged through a bunch of interests: insects (especially bees), big cats, sports (although I was terrible at them), stamp collecting. But there was one thing I was more obsessive than anything else. If you asked anyone who knew me when I was a kid what my main interest was, they would have no trouble answering: dinosaurs. I was crazy about dinosaurs. I knew every single type and could describe them and even draw pictures. I collected books about dinosaurs and dinosaur models. Whenever I had a school project to do, it was inevitably on the subject of dinosaurs. For a long time, my only career ambition was to be a palaeontologist. Which means it’s actually rather remarkable that, once I decided I wanted to be a writer, it took me so long to get around to writing a story about dinosaurs. But now the wait is over. There was no way I could deny this overwhelming youthful obsession. 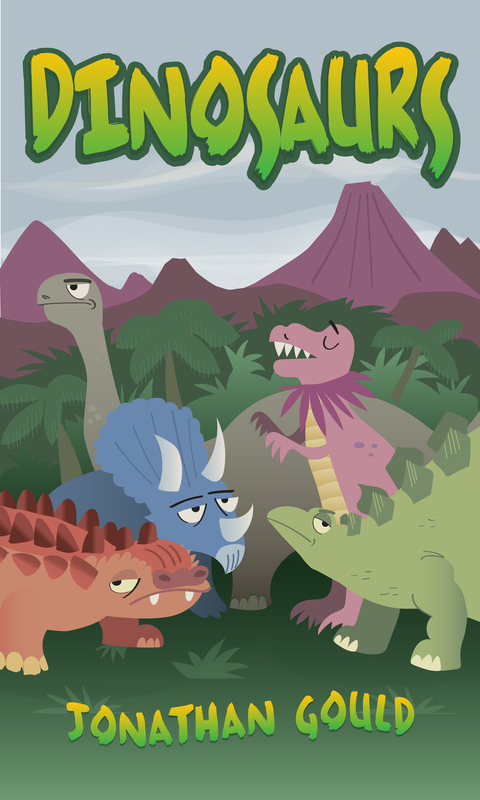 I’m proud to announce the release of my latest novella – a story about dinosaurs with a very simple title: Dinosaurs. So what happens in Dinosaurs. It’s a pretty simple story. An intrepid time traveller goes back in time to the land of the dinosaurs and has some extraordinary adventures. So far, so unoriginal. But this is a story by me, so of course things are not going to turn out the way you’d expect. The dinosaurs are extremely silly (as you would expect from a story by me) and don’t accord at all to the travellers ideas of what dinosaurs should be doing. In the end, we’re left with a completely new theory as to the true reason for the extinction of the dinosaurs. Dinosaurs is something of a fable or a satire. It’s a companion piece for my satirical story about insects, Flidderbugs. 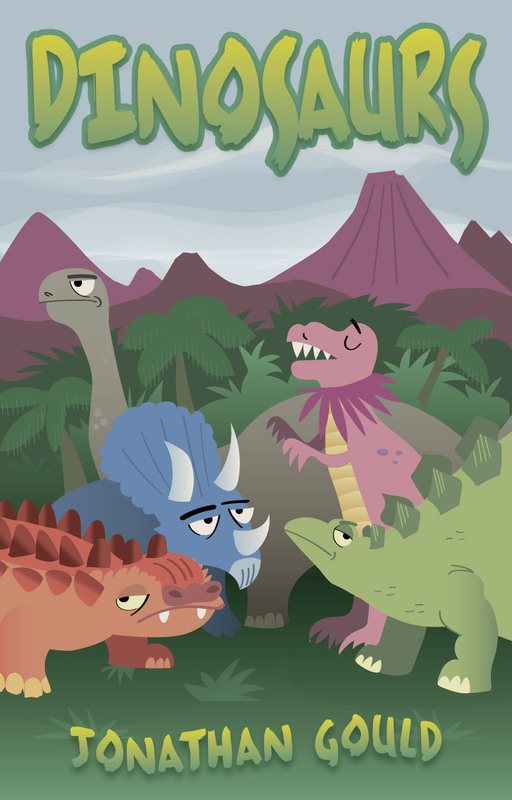 It mixes ideas about politics, economics and a bunch of dinosaurs with some very peculiar obsessions.